The evacuation of the BEF by civilian and military vessels during the fall of France in 1940 ensured the British Army would fight another day. British Captain William Tennant was entrusted with rescuing the British army from Dunkirk. 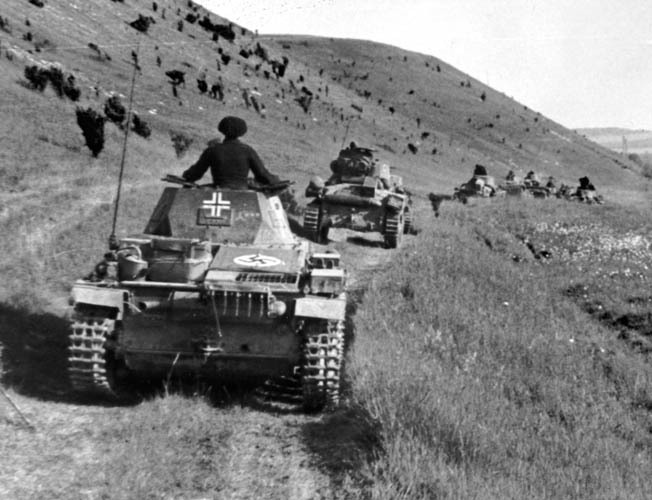 Major General Erwin Rommel’s Seventh Panzer Division rolls toward the sea during the Battle of France in the spring of 1940. Allied counterattacks failed to stop the German juggernaut. 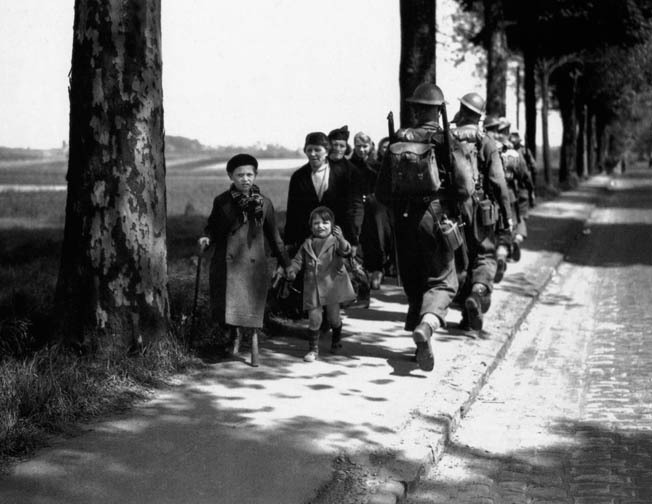 A British soldier moves to the battlefront past refugees headed the other way. But the Weygand Plan was based in fantasy, not reality. The situation was deteriorating rapidly, with Allied forces scattered, fully engaged elsewhere, or simply nonexistent. 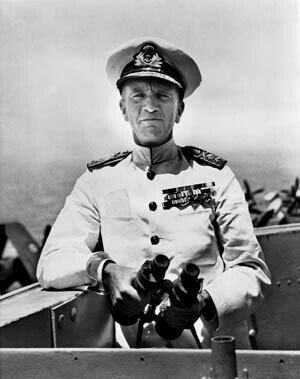 Weygand grandly issued order after order, paper salvos that might boost morale but did little to counter the German threat. General Order No 1, for example, directed northern armies to “prevent the Germans from reaching the sea,” but in point of fact they were already there and had been for several days. 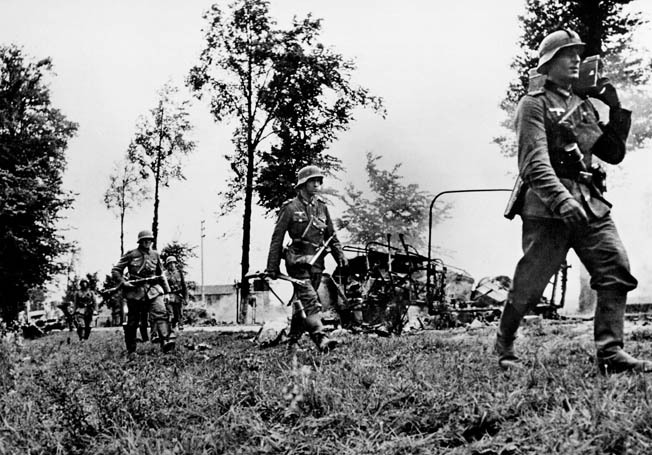 The dejected Allies fought with determination against the advancing Germans, but the Nazis enjoyed substantial advantages. 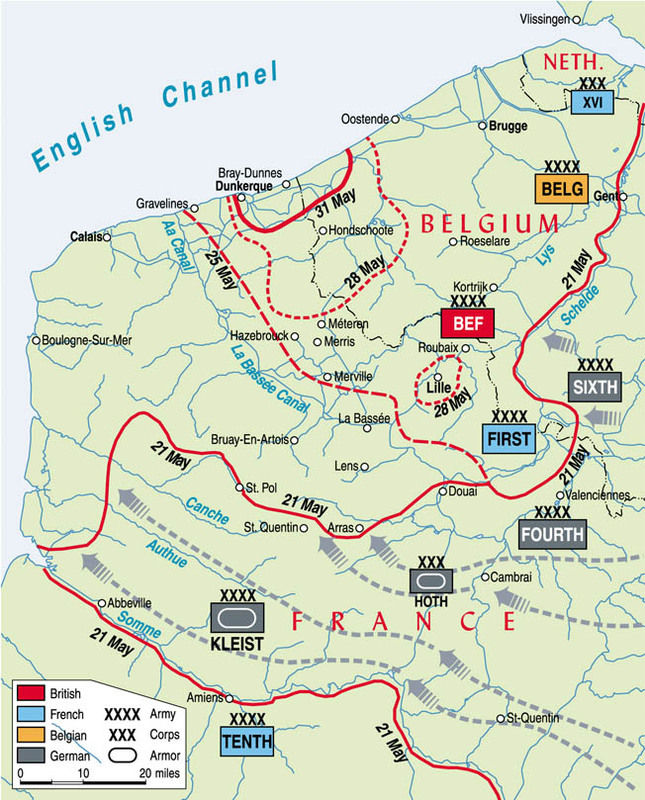 The Germans squeezed the Allies into a small pocket during the Battle of France. The British deployed vessels of all sizes to get their troops to the safety of English shores. The Dorset Regiment was holding a strongpoint at Festubert when it became clear that it was cut off and virtually surrounded. When they received orders to withdraw, they waited until nightfall to make the attempt. Colonel E.L. Stevenson, the battalion commander, had no maps but did possess a compass. His party included about 250 Dorsets and a ragtag group of odds and sods who had lost their units. The last few days had been a nightmare for the Allies, but the victorious Germans, perhaps a bit stunned by their own successes, were having their own set of troubles. Guderian’s panzers pushed on, with the Sambre River on their northern flank and the Somme on their left. On May 20 German tanks reached Abbeville at the mouth of the Somme, to all intents and purposes fulfilling their original mission. They had reached the sea and were the tip of huge panzer corridor that divided the First French Army and the BEF from French forces south of the Somme. With little time to spare, the British showed great ingenuity in evacuating their troops; for example, oceangoing ships loaded troops directly from the East Mole. The action at Arras might have been abortive, but it did manage to scare the Germans into a mood of excessive caution. Suppose the Allies were planning a new thrust, a counterattack even greater than the one at Arras? It was a possibility that haunted both Hitler and his senior officers. Luftwaffe chief Hermann Göring now put in his bid for glory. He told the Führer his aircraft could finish off the British, in effect driving them into the sea. Hitler gave Göring the green light in part because his eyes were gazing elsewhere. The panzers still had to defeat the French forces south of the Somme. As for Paris, the prize that had eluded the Germans in World War I, the objective seemed well within Hitler’s grasp. But after two days Göring’s assurances were shown to be empty bombast. The BEF was far from destroyed, so the Führer lifted the halt order. 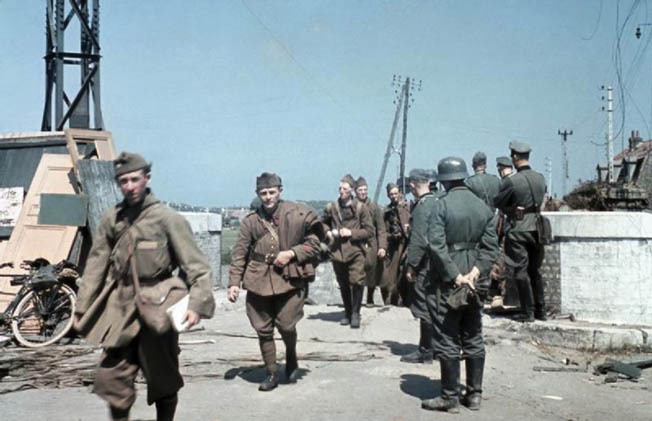 The panzers renewed the advance on the afternoon of May 26, but the Allies had been given two precious days to continue the evacuation. 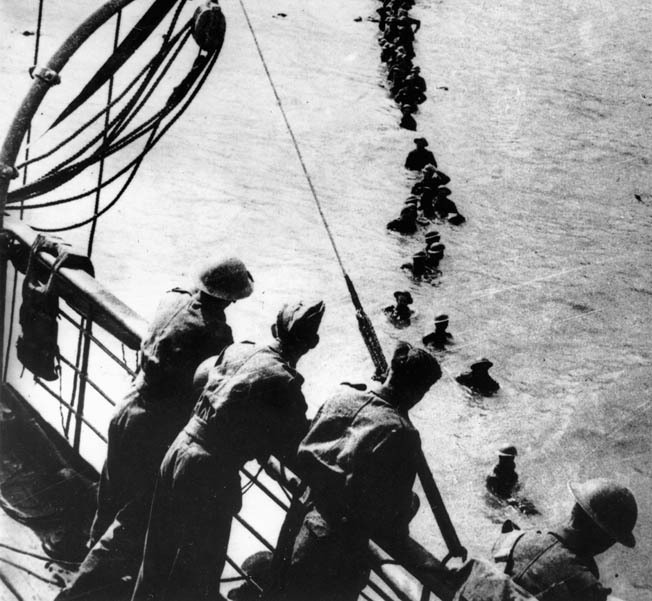 British soldiers wade out to a ship at Dunkirk. The bone-weary Tommies passed through the defense perimeter with a sense of relief, then entered a world that must have seemed almost surreal under the circumstances. Malo-les-Bains and the other towns were peacetime seaside resorts, where many French and Belgians had enjoyed summer holidays. There were bandstands where music once played, and carrousels where laughing children had ridden elaborately carved horses. Beach chairs lay scattered about and the colorful cafés still had stocks of refreshments. 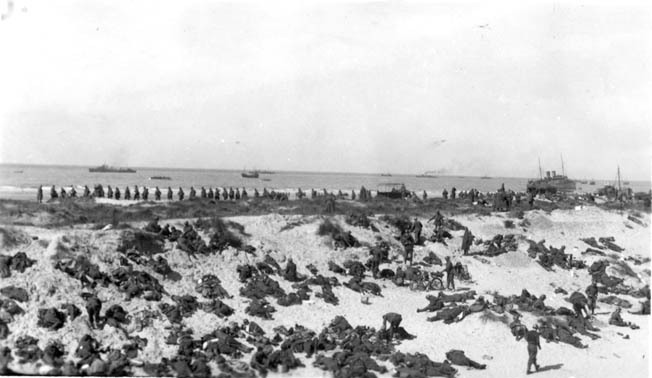 The beach at Dunkirk is packed with troops awaiting evacuation. As the threat of capture increased, the British altered their evacuation tactics. German Stukas would appear occasionally, but after the terrors of the past weeks, some Tommies considered them more nuisances than objects of terror. The soldiers played games and swam, and some threw away their Enfield rifles and wandered aimlessly across the sands. Still others pilfered French wines and liquor and sat around the cafés chatting and drinking like tourists on holiday. One man even stripped to his shorts and sunbathed, contentedly reading a novel. 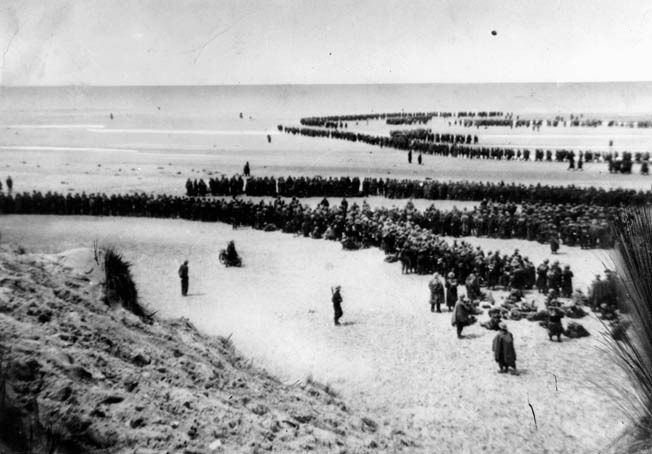 A line of evacuees snakes through from the beach into the surf at Dunkirk. 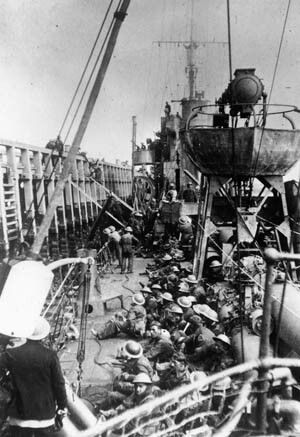 The British pressed 300 “little ships” into service to help rescue the thousands awaiting evacuation. 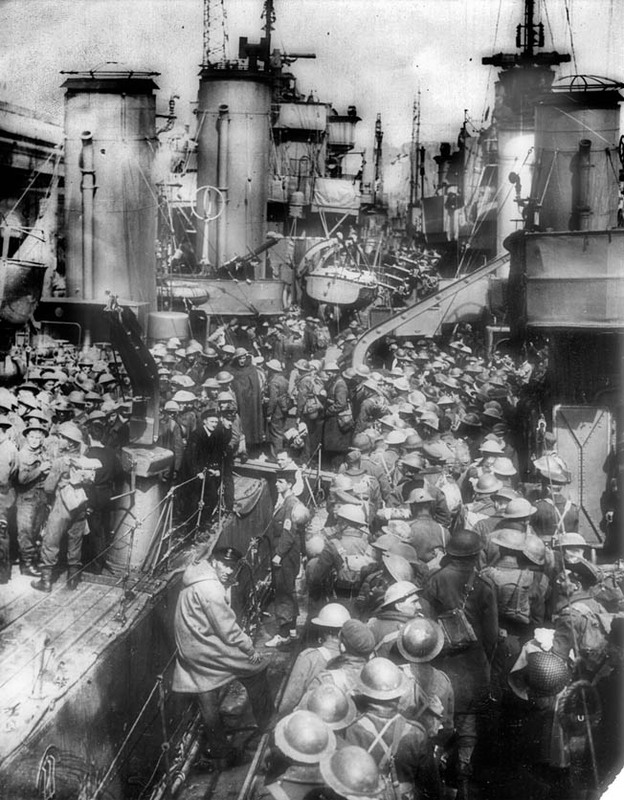 British troops arriving in Dover, England, receive a warm welcome from their fellow countrymen. The evacuation would not have been possible without the sacrifice of British and French units outside the immediate Dunkirk region. Surrounded and under siege, the bulk of the French First Army held out at Lille until May 30. In the process, they managed to tie up no fewer than six German divisions. The First Army fought so well that the Germans granted them the full honors of war, including marching out into captivity preceded by a band playing lively martial airs. French prisoners await instructions from their German captors. British Prime Minister Winston Churchill could not guarantee that all of the trapped French troops would be evacuated in time. Tags Africa, air raid, Allies, Anthony Eden, antitank gun, Ardennes, artillery, Battle of Britain, Battle of France, Belgium, Bernard Montgomery, Bertram Ramsay, Blitzkrieg, blitzkrieg attack, Boulogne, Britain, British, British Army, British Expeditionary Force, Calais, cavalry, CIA, cod, Crete, desert fox, Destroyers, Dornier, Dover, Dunkirk, Dyle, EAM, edmund ironside, England, English Channel, Erwin Rommel, Flak, France, French, French First Army, gen erwin rommel, general, general erwin rommel, Gerd von Rundstedt, German, German Blitzkrieg, gort, Great Britain, Hermann Göring, Holland, KKE, Leopold I, Leopold II, london, luftwaffe, Maginot Line, Mark I, Matilda tank, maxime weygand, Meuse, Meuse River, military, navy, Nazi, north africa, Odo, Operation Dynamo, OSS, Panzer, Panzer Corps, Paris, pike, POW, Queen Victoria, Royal Air Force, SAS, Schlieffen Plan, Somme River, Tanks, Tern, The Battle of Britain, the german blitzkrieg, the Somme, Tory, Troy, Tula, weapons, wehrmacht, William Tennant, WIN, Winston Churchill, World War I, wounded.